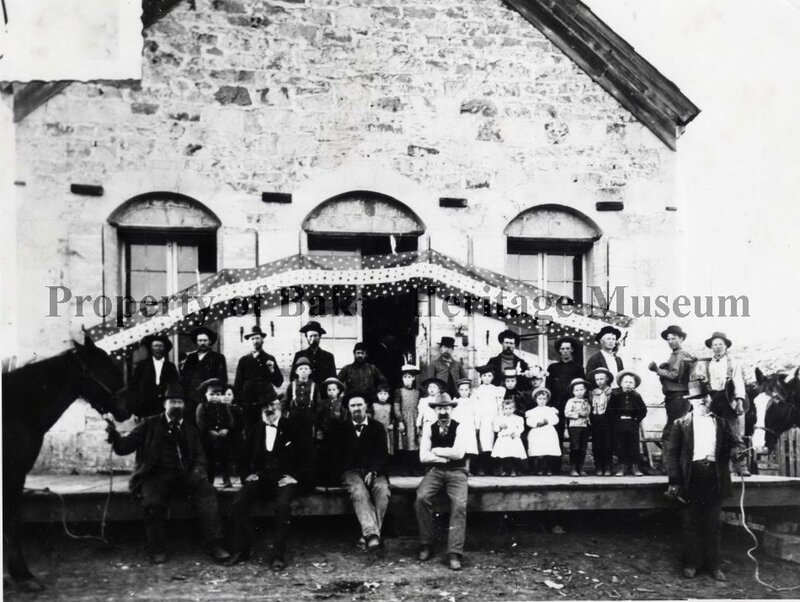 Sparta Store with bunting, 31 people seated or standing on porch, including children. Back of photo says Mable Bemis, Jo Myers. Donated by Dorothy A. Rager.